Construction work has inherent risks and project managers are always striving to keep their crew and equipment safe. For the crew, procedures must be followed and specialized training can be required for certain jobs. Industry and government regulations often help provide a framework for certain processes such as setting demolition charges or securing trench walls. 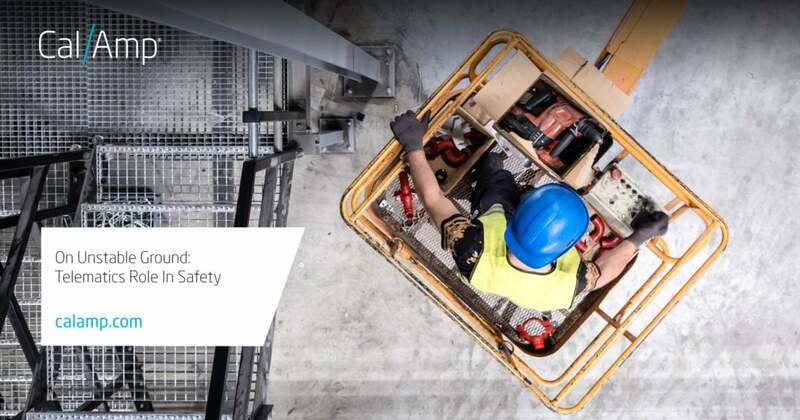 Vehicles and equipment with advanced technology can now contribute to the safety on your site. A recent Bureau of Labor Statistics (BLS) report showed almost 200,000 construction-related cases of nonfatal occupational injuries (Table 5) in 2015. These recordable incidents are the second highest in the goods-producing sector. 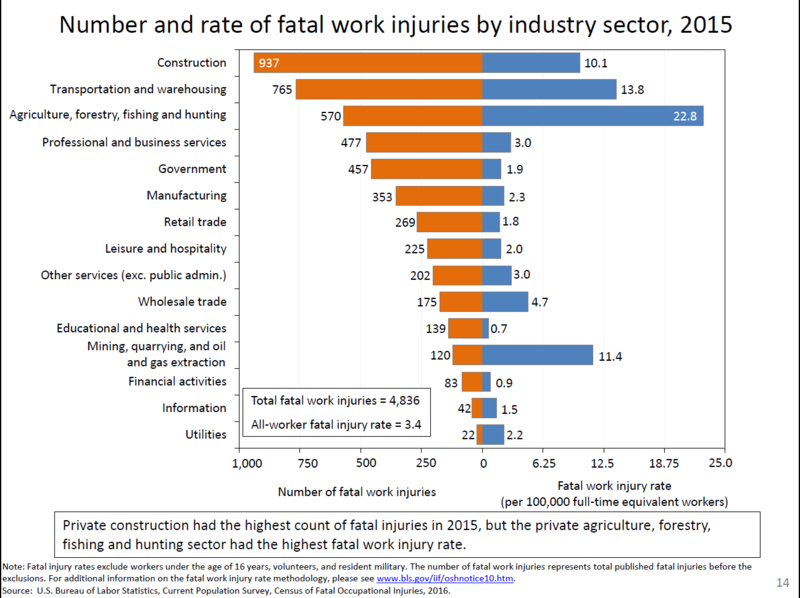 In regards to fatalities, the BLS 2015 Census of Fatal Occupational Injuries (CFOI) report revealed that construction had a four percent increase in deaths. Looking a subset of the data, there was an increase of incidents for operating engineers and construction equipment operators. When jobsites encompass a large or linear area, your ability to see equipment and teams by eye is limited. A telematics dashboard gives you the capability to view asset locations on a map. This virtual visibility allows you to better coordinate assets across the site for internal traffic control. And if an accident does happen, the information can help you guide emergency personnel safely through the site. Equipment that breaks down at the wrong time is a drain on productivity, and it can also be unsafe. You don’t want your crew to try to troubleshoot on site and risk injury. Or, an unexpected geographical or terrain obstacle could cause a machine to become unbalanced enough to tip or flip over. CAN bus capabilities provide access to key information such as direct engine hour or odometer readings, fuel levels, service interval indicators, hydraulics, oil pressure and a variety of other information that directly relates to remotely optimizing operations, improving safety and streamlining processes. This data assists with being preventive with your maintenance to keep your assets in good repair. You may have new crew members with limited training or experience for certain pieces of equipment or drivers might rush to complete a project. Whatever the reason, bad driving habits can put a strain on your equipment causing unnecessary wear and tear, such as oil or tread. Reviewing your telematics information can help you spot trends in hard braking, excessive idling or speeding. Use it to develop training or incentive programs to educate and motivate your team. Jobsites are hectic. Project managers could be focused on troubleshooting issues, moving from site to site or meeting with the architect. There isn’t always time to check a dashboard on a regular basis. This is where alerts come in. Virtual Boundaries – You can setup location boundaries for work zones, off-limits areas and activity areas by device or server. Then when equipment leaves or enters the area, you get an alert. If it is an off-limits area, such as mudslide area, a real-time response could prevent a safety violation or injury. Arrivals & Departures – A notification is sent when equipment leaves or reaches a certain area. It lets you coordinate staff and location so a skid steer or generator isn’t left in the middle of an active project. Ignition – For the safety of your equipment to prevent unauthorized use or thwart a possible theft, an alert can be sent when an asset is turned on after hours. Utilization – If you define estimated hours of use for your assets, a notification will be sent when a maximum threshold is reached. It allows you to swap out equipment or schedule maintenance before a major issues arises. DTC Code – Know when a problem may be occurring with the engine of one of your vehicles or equipment. And, if your company has to track drivers’ hours of service via an electronic logging device, your driver vehicle inspection report (DVIR) will be captured in that software. It can then be combined with your telematics maintenance data for a more complete view of your assets. Digital records from a telematics solution can be incorporated into your safety manual and programs. The information can also be part of your regular safety communications plans. Regular monitoring of your assets and their usage could help you comply with industry and government regulations. Not only do you work towards a safe environment, but you also reduce risk of citation and fines. Asset telematics combined with other technologies such as in-cab cameras, drones, smart helmets or smart clothing help make a jobsite safer. It is more than just knowing what is available or where a piece of equipment is. The uses discussed are about managing liability, compliance and safety better. How else would you use telematics and technology in general to improve the safety on your jobsite? If you would like more information on AssetOutlook, please visit our website or download the brochure.